According to the Sunday Times newspaper, UK Minister for the Cabinet Office, conservative David Lidington, held talks with members of the Labour Party on Thursday, trying to build an inter-party coalition to organize a new vote. At the same time, May's Chief of Staff Gavin Barwell has said that holding a second referendum was "the only way forward." "Barwell and Lidington are working in tandem. Others in No 10 are aware of what is happening," a senior Conservative Party member said, as quoted by the publication. Lidington and his supporters plan to offer voters a choice between the deal negotiated by May and a "no-deal" Brexit. 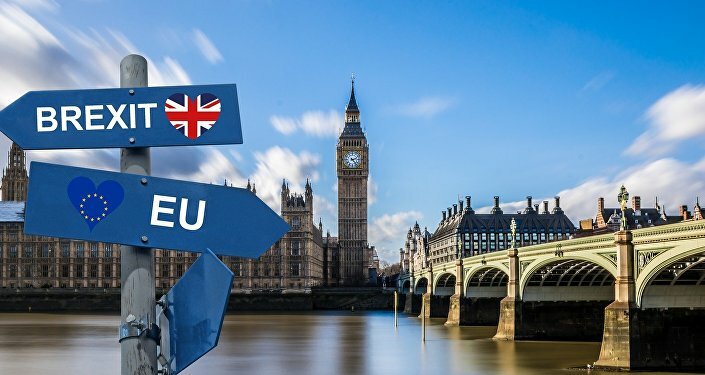 However, officials expect the House of Commons to amend the referendum legislation to also include in the ballot paper the possibility of remaining in the European Union. The idea is reportedly supported by Chancellor of the Exchequer Philip Hammond, Secretary of State for Work and Pensions Amber Rudd, Justice Secretary David Gauke and Secretary of State for Business, Energy and Industrial Strategy Greg Clark. Secretary of State for Northern Ireland Karen Bradley and Minister for Scotland David Mundell is also on the side of Lidington, the newspaper said. The publication also noted that former UK Prime Minister David Cameron, after a recent conversation with May, told friends that May personally opposed the vote, but would support the second referendum if the parliamentarians vote for it. The Sunda Rimes reports come after May said Friday that she would continue negotiations with Brussels on the future Brexit agreement in order to obtain additional guarantees for the deal, which are necessary for approval in the UK Parliament. The United Kingdom must leave the European Union by March 29. In October, London and Brussels agreed on a text of the agreement defining the conditions for UK exit from the bloc. But lately, there have been problems with the approval of the "divorce agreement" in the UK Parliament.